Petplan was the top pet insurance product in Europe but unknown in the US. The two founders who were recent Wharton graduates knew it was a huge opportunity to introduce it in the US market. Not only do Americans value their pets as a part of the family but this is the only pet insurance that covers hereditary conditions — a big deal when you have a purebred pet. They had started a few brand pieces but with little support. They were in need of a trusted partner who could embrace their vision and passion and create a cohesive brand that clearly says we care about your pet. Open Haus met the demands of a new and rapidly growing national company. Our team provided smart and engaging print advertising and tradeshow marketing materials that included folders, applications and forms, brochures, welcome kits and vet office displays. We also created memorable advertising campaigns that ran in national pet magazines. Finally, we worked with them on promotional ideas for print advertising and tradeshow marketing materials and sponsored events. We also designed and produced their biannual customer loyalty magazine. Petplan is now the #1 pet insurance company in the US. 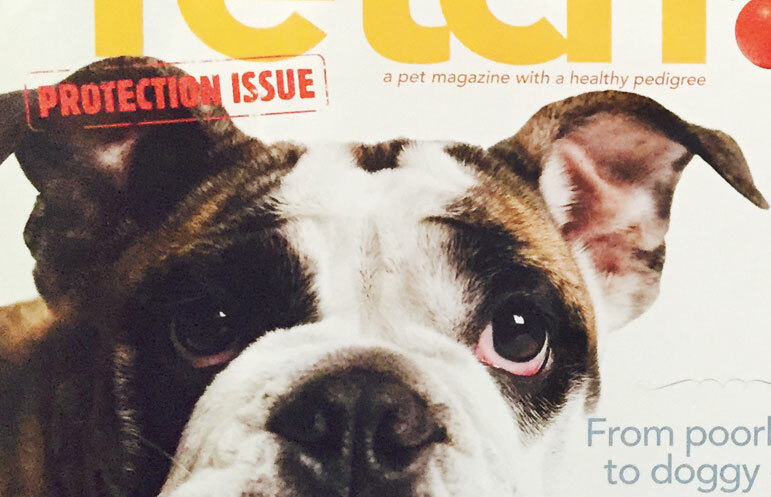 We were an integral creative partner in their roll out of Petplan to 48 states, as well as, providing a 60-page fetch! magazine design template that they continue to use today.